We all have our own set of productivity pet peeves. And the one that will definitely have a special place in all of our lists is Tab Juggling, i.e., jumping from one tab to another to complete a single task. While we're still working on ways to solve it for your other teams, we've come up with the perfect solution for your customer support team! 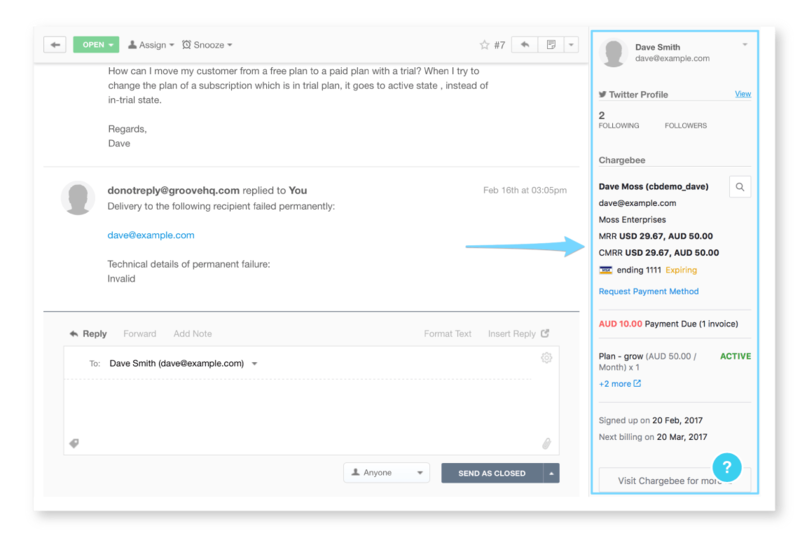 With the Chargebee-Groove integration, your custodians of support will be able to view the subscription details of the customer within the Groove app, right next to the corresponding support ticket. Kill the extra tabs. Boost your productivity. 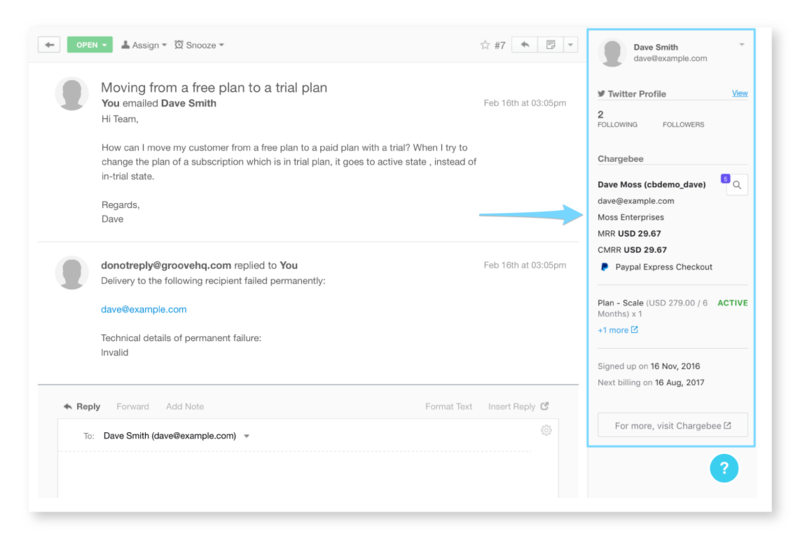 The Chargebee - Groove integration is available only on Chargebee's Scale plan. 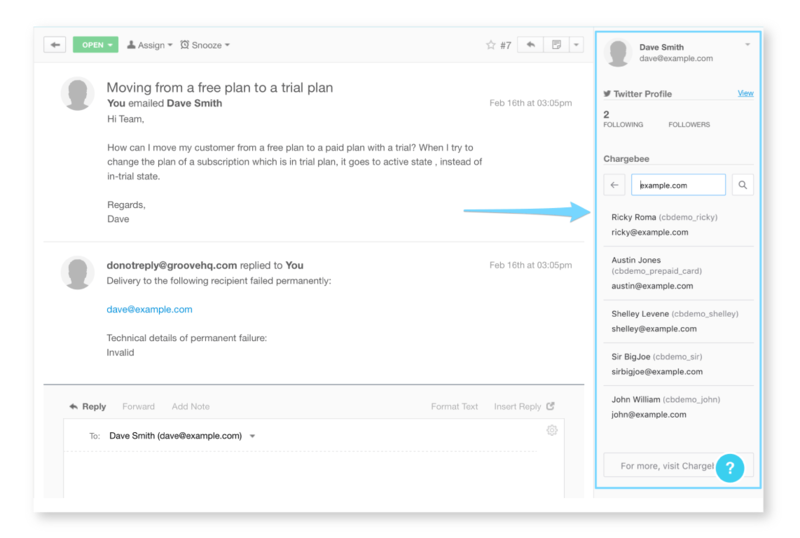 Groove is a simple helpdesk software that helps you to delight your online customers with awesome, personal support. Visit Groove to learn more about setting up this integration.